Are you looking for a candy-free Valentine treat for your kids? 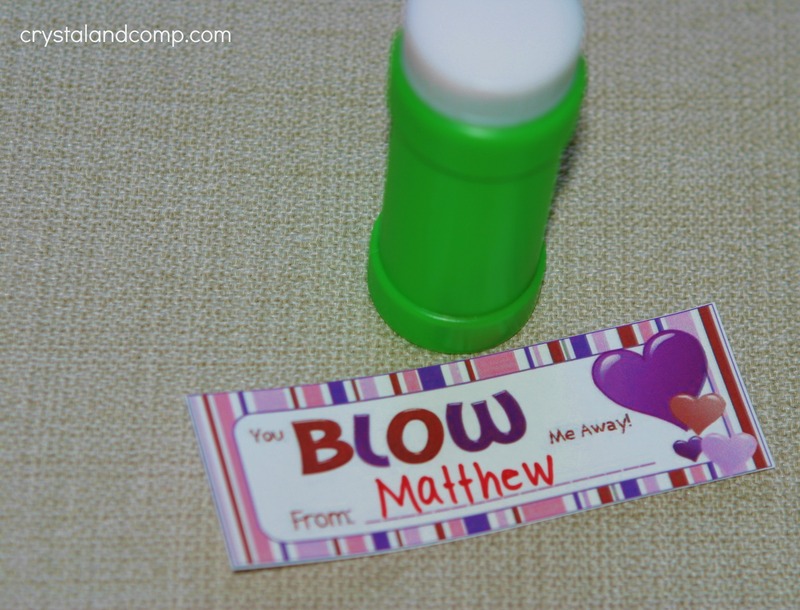 I have an awesome free printable that makes the perfect goodie for your Valentine party, to exchange with friends at school or at your homeschool group. These treats are also just a fun Valentine treat to surprise your little ones with. 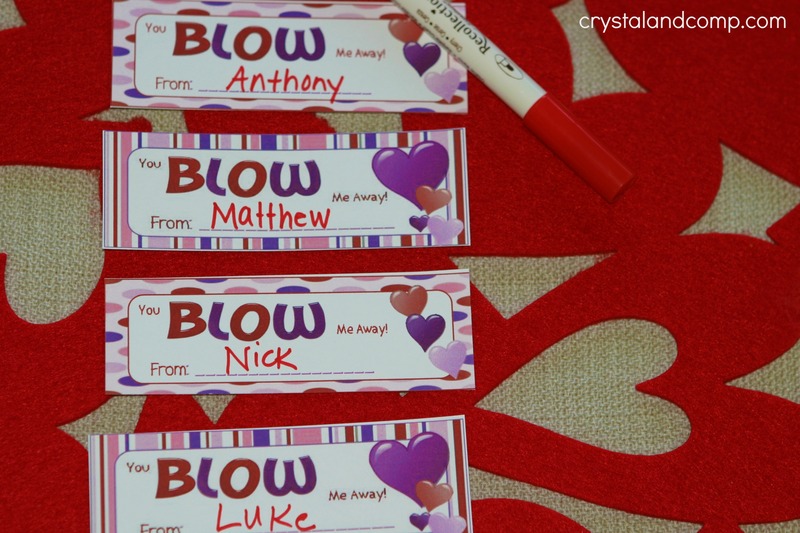 We totally love Valentine crafts around here! 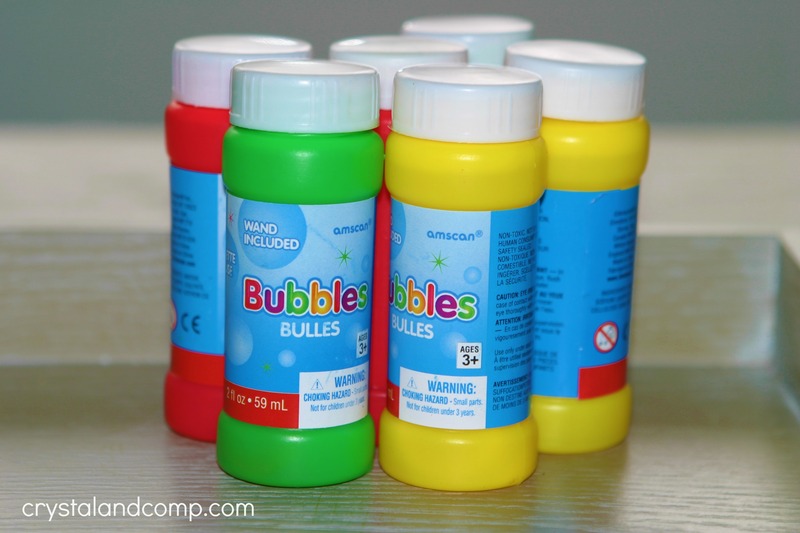 I found these 2 oz bubbles as a 6 pack at the local party store for like $3.00-$4.00. Peel the labels off of them. 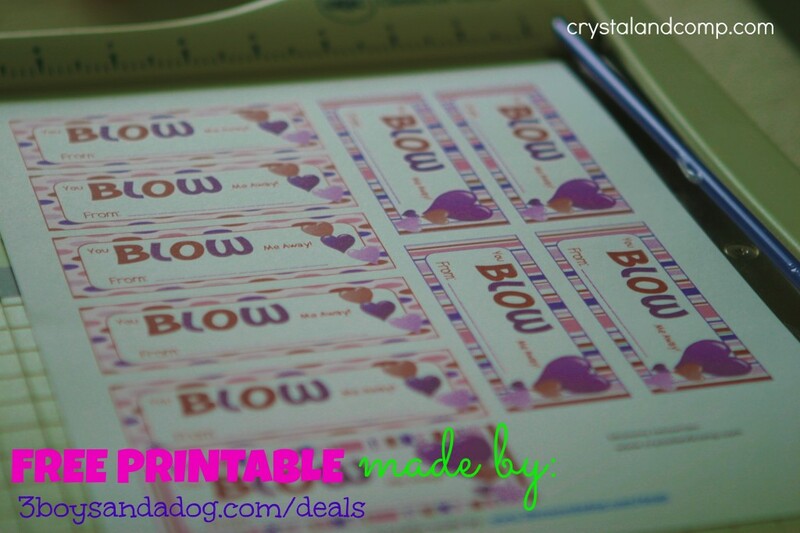 Kelli from 3 Boys and a Dog makes all of my printables that I offer to you guys. She does fantastic design work and her prices are so reasonable- like $5.00 a page. 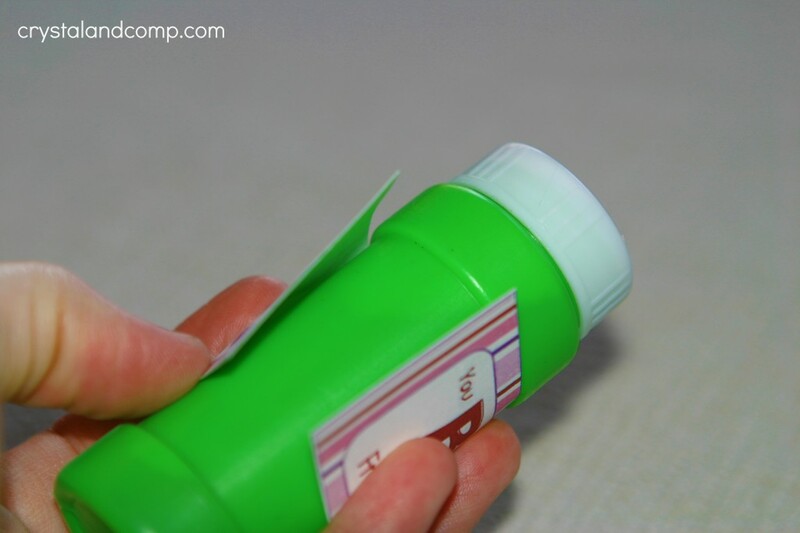 Use a paper-cutter or scissors to cut the labels out. Fill in the from area. 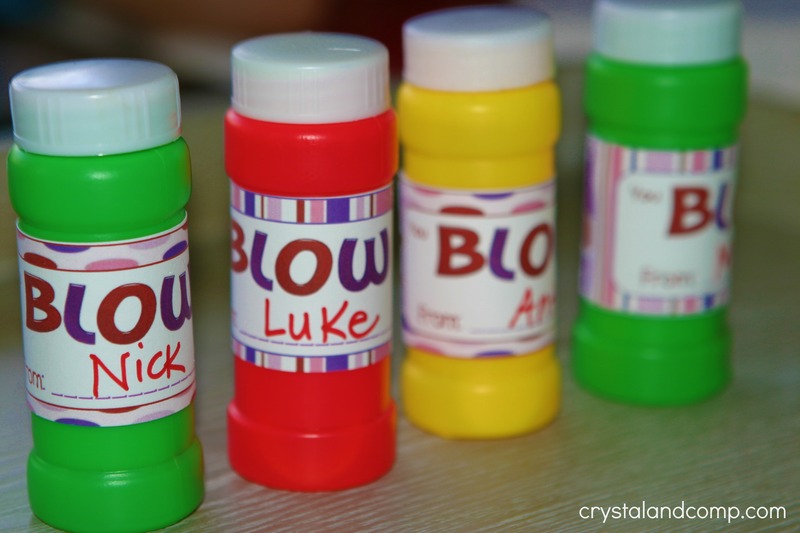 These can be from your kids to other kids at school. Now we are going to attach the labels to the bubble bottles. Wrap the label around the bottle. 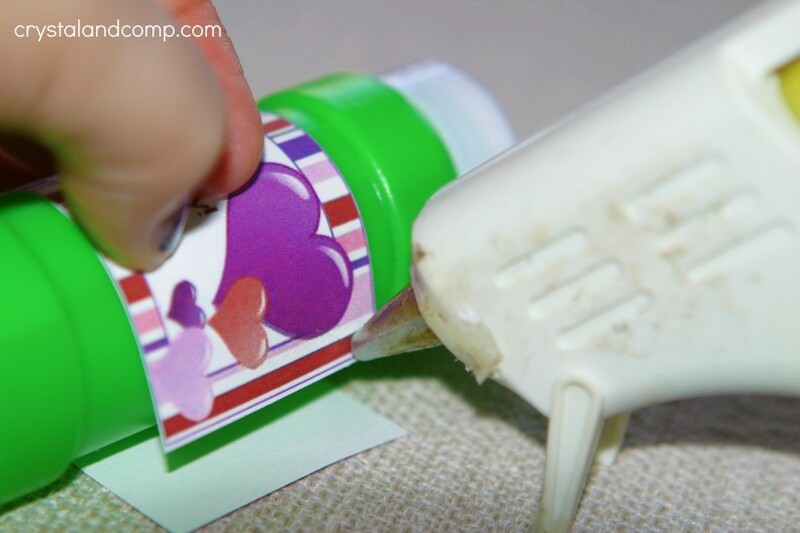 Use your hot glue gun to apply glue to one end of the label as the photo below illustrates. And you have a sugar free Valentine treat! 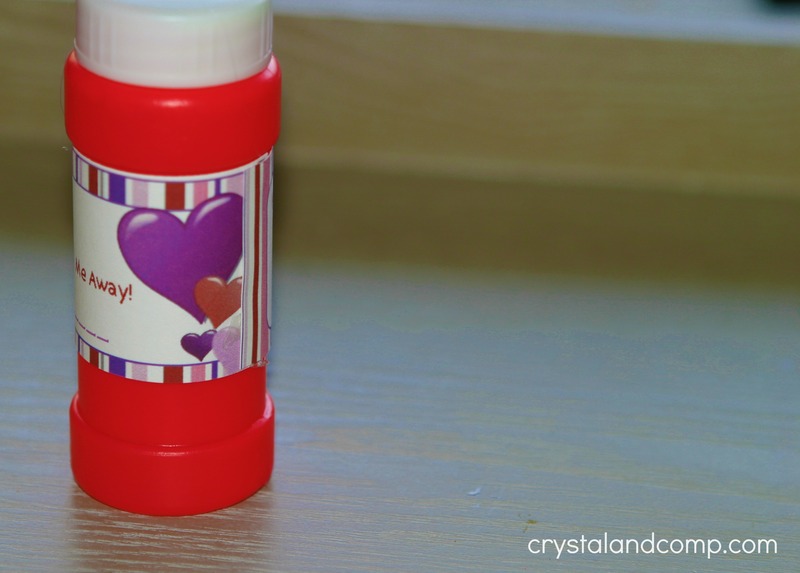 I am sharing this awesome Valentine goodie on these linky parties. Linky parties are a great way to grow your blog! This is such a cute idea! Thanks for sharing at the AfterSchool party. Have a great Valentine’s Day. Oh my gosh how cute!! I’m pinning for next year! I bet this was a huge hit! Thanks for the idea, stopping by from Pin Me. This is very possibly the BEST Valentines idea I have seen!! You are amazing!! Awe, thanks Katie. Kids love bubbles. What a CUTE idea! What kid doesn’t love bubbles?! Super cute Valentine’s idea!